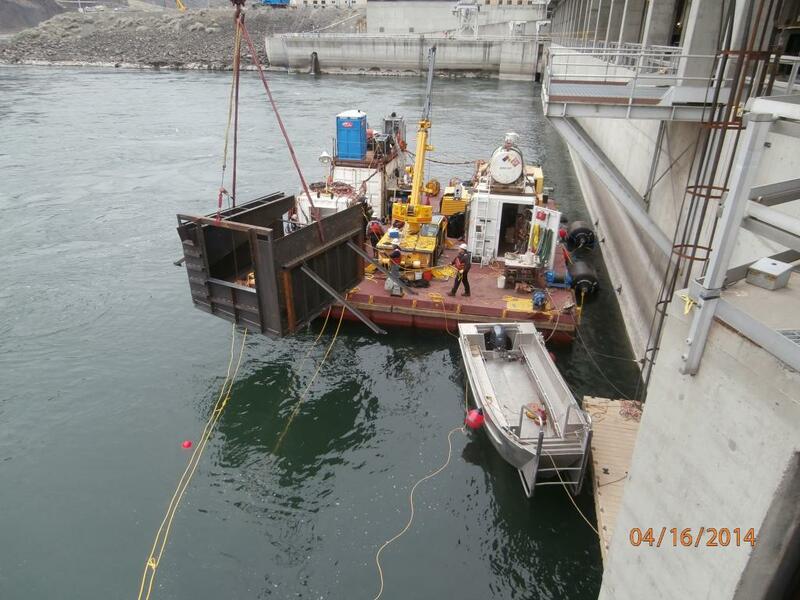 Rock Island Dam Adult Fishway Extension - Global Diving & Salvage, Inc.
Rock Island Dam is located on the Columbia River, approximately 15 miles south of Wenatchee, WA. 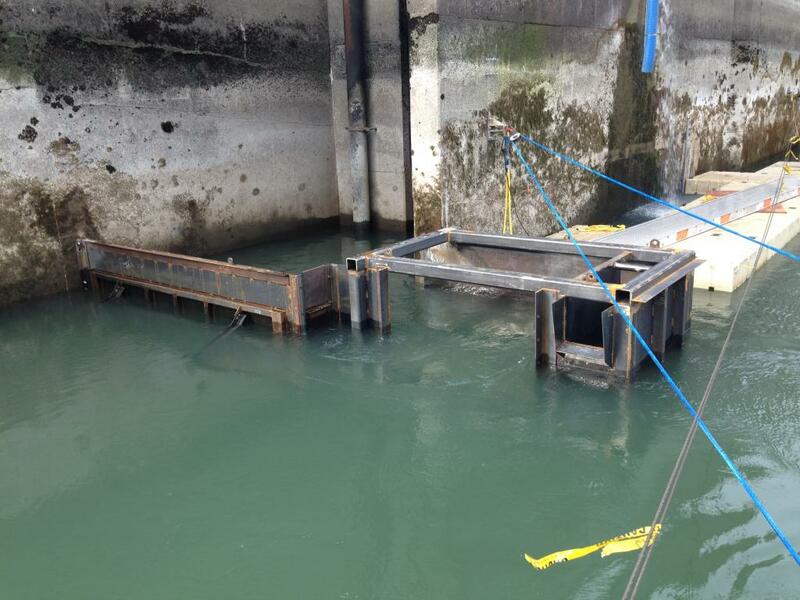 The development of a crack in a spillway of Wanapum Dam, downstream of Rock Island Dam, necessitated a 25-foot drawdown of the tailrace. This created a significant obstacle for the fish migrating upstream; they would not have access to the original fish ladder at the dam. With the arrival of the migrating salmon just a few months away, this project took on a critical path very quickly. 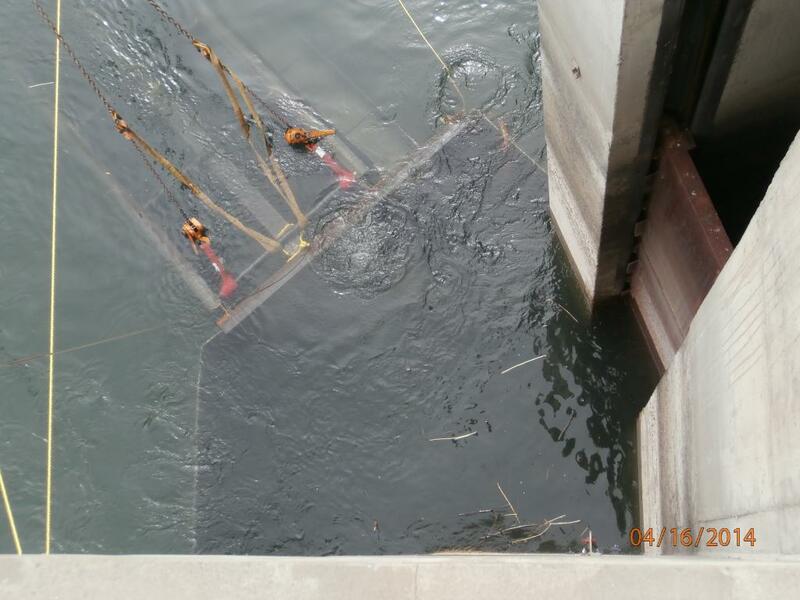 Chelan County PUD, owners of Rock Island Dam, contracted Knight Construction from Spokane to install the emergency fish ladder extensions in three areas; two on the west bank and one on the east. Knight, who handled the fabrication and topside support, turned to Global Diving & Salvage, Inc. to provide the diving support for the project. With the compressed schedule required to complete the project, Global and Knight worked closely on scheduling the arrival of the fabricated items and their installation. The extensions, similar to the structural components of the original fish ladder structure, consisted of steel boxes and flumes used to create pools and steps. These new boxes and flumes were mounted to the face of the dam and in the case of the east side, were suspended from a pipe that spanned two pier noses. 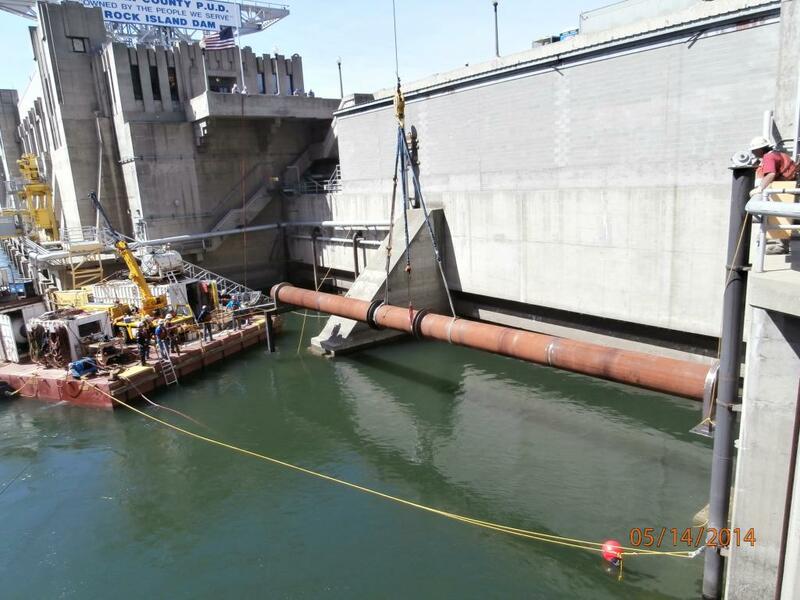 The fish ladder project involved a wide array of construction techniques, including; core drilling, setting of epoxy and mechanical anchors to secure the boxes and frame work in place, wall sawing to remove sections of the dam to allow access at the lower water levels. The steel sections were bolted and in some cases welded in place. 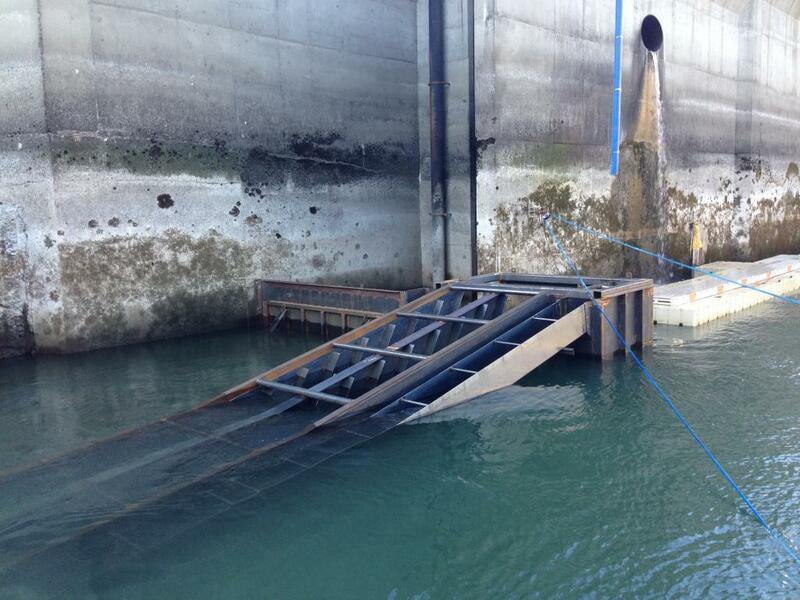 The project has helped thousands of Chinook salmon travel upstream past Rock Island Dam during their migration.